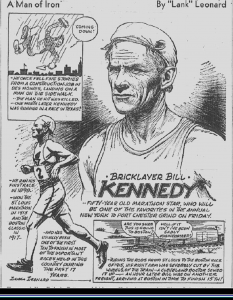 Along with his son Patrick, Dr. Lawrence Kennedy has recently finished work on his most recent book, Bricklayer Bill: The Untold Story of the Workingman’s Boston Marathon. 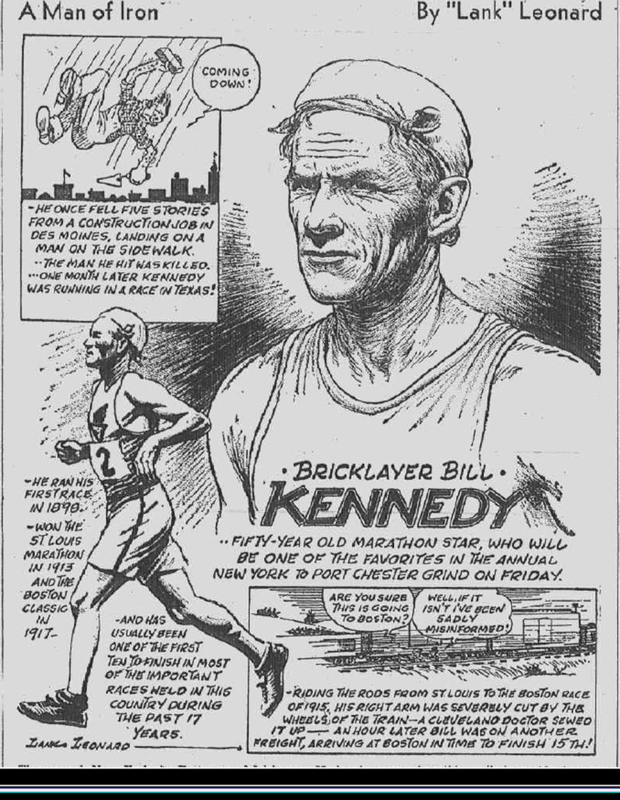 The book traces the experience of Irish American “Bricklayer Bill” Kennedy won the Boston Marathon wearing his stars-and-stripes bandana, just weeks after the United States entered World War I, rallying the crowd of patriotic spectators. Kennedy became an American hero and, with outrageous stories of his riding the rails and sleeping on pool tables, a racing legend whose name has since appeared in almost every book written on the Boston Marathon. This entry was posted in Department publications and tagged Faculty Experts. Bookmark the permalink.